An experience everyone undoubtedly dreads is getting a call from an unknown number. Is it a telemarketer? Is it an exciting job opportunity? Or is it an annoying relative you are trying to avoid? At CallApp, one of the features we have worked on tirelessly which offers our users an unprecedented experience is our Caller ID. This feature was created to solve the problem of these maddening unknown numbers. 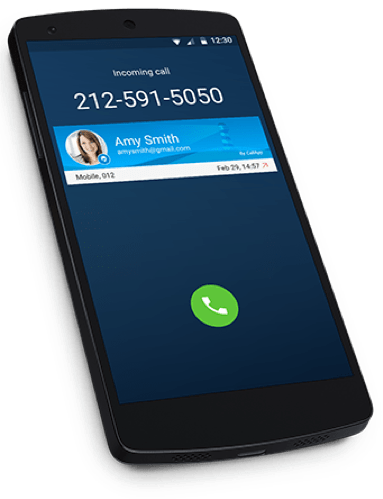 What Is Caller ID Name? While Caller ID is just the phone number calling, Caller ID Name (CNAM) is the accompanying text that provides the identifying name for the unknown number that is coming your way. Thanks to CallApp’s incredible database which consists of over 3 billion names and numbers of individuals and businesses, our caller name ID system will always connect a name to a number taking away any confusion surrounding who is calling. There are various options when it comes to connecting a name to a number and establishing a caller name ID. CallApp’s search bar is a feature that is available even to those who have not downloaded the app. Using this, you have the ability to type in any number into our search bar, and the Caller’s name will be exposed. 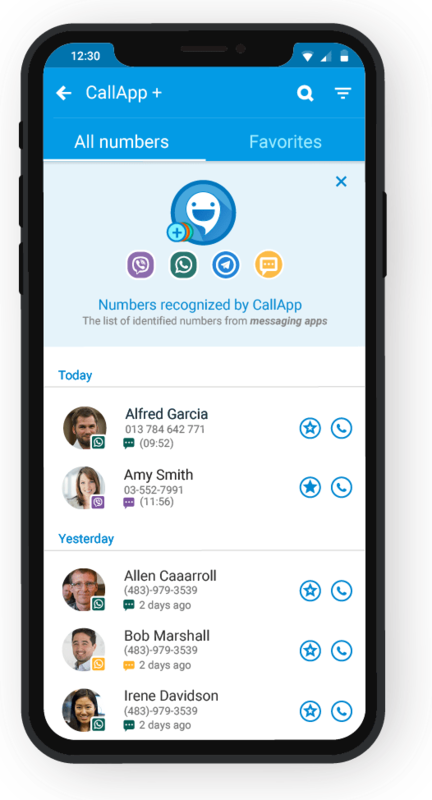 However, for CallApp’s fully integrated Caller ID Name experience, one must download our free CallApp application and have 3g, 4g, or a Wi-Fi connection. Once you have downloaded the app, CallApp ensures that you will never get a phone call from an unknown number again. 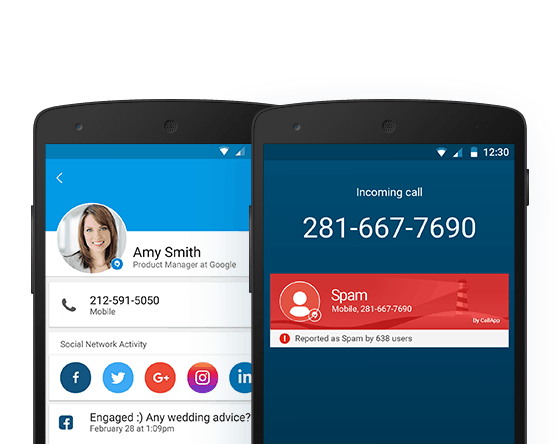 CallApp’s caller name id works by making a match between the phone number and the name within our database, allowing the name to automatically pop up as the call comes through. CallApp’s caller ID service is all-encompassing. The first benefit is detecting the caller ID name of an unknown individual whose number you do not have saved to your device. But the app is also designed to identify names of business numbers that are not in your contacts. 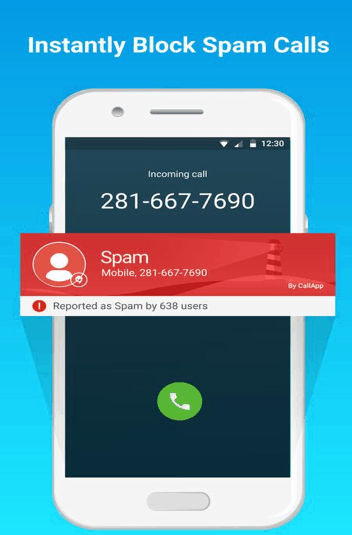 Another built-in service that comes along with CallApp’s caller ID with names is the connected Call Blocking service which will alert you when a common spammer is calling, giving you the option to block the call before you have to suffer trough a telemarketing scheme. There are a few reasons why our ability at CallApp to identify the Caller ID (with name) is the most advanced in the business. Firstly, thanks to our large database, we have the advantage of being able to detect the name of your caller no matter where, what, or how they try to reach you. In addition to this, CallApp does no only present its users with a name. Rather we have developed a system which gathers all the useful information possible about who is calling as well as all your already saved contacts through various social media outlets. From social media accounts to a relevant social media picture matching who is calling, your contact detail will be a well-crafted representation of the person on the other side, putting you in the power seat when you receive that unknown number. The pros to having access to a caller ID name service are endless. Not only does is take away all the anxiety one may get from receiving a call from a strange number, but it also gives you the advantage of knowing who is calling and knowing how to respond in the best way possible. Whether it is a telemarketer you wish to block immediately, a new love interest whose number you have misplaced, or a business you have been waiting to hear back from regarding a job offer- Let CallApp’s Caller name ID find out for you!